Where do I get this private beta skill. As far as I remember last try I have was something like with the Mi Home skill V2 RGB bulbs not discovered at all. With the yeelight skill discovered but not responding to any commands, although V1 RGB works just fine. Yes on China server. Since Amazon Alexa and Google Assistant now supported Yeelight from China Mainland Server. If IFTTT is not your thing, can consider to switch all to China Server. I using IFTTT so I still have to use Singapore server is that correct? Is the server connection different at a different gateway ??? Does anybody know about the site which is connected to remote servers like https://babasupport.org/apple/iphone-error-4005/ ??? I’m a bit lost, i use Yeelight bulbs in combination with Google Home voice commands, i also have a Xiaomi Gateway with door sensors. For the gateway i must use the China Mainland server, but for the Yeelight bulbs i use the German server. When i switch the Yeelights to the China server, i cant use them with Google Home voice. As far as i know the European servers wont support the Xiaomi Gateway. Is there a solution for this issue? Yeelight has started to support Yeelight under China Server to be controlled using Google Assistant. Try to add your XiaoMi account to Google Home Control. Lights under China server will appear after you tell Google “Sync all my devices”. I have this but cant get the radio. Is there radio? Are yeelight china servers supported by alexa? Add your device. If it adds, great… Now update the firmware. Logout of this account and logback into yours. My Mi Control Hub firmware is 1.4.1_164.0158 right now, will you get a newer one if you sign into this account? Add my Control Hub device on which server? Mainland China? Singapore? Does it work with Mi Home app on iOS, Android, or both? I purchased a Mi home automation system. 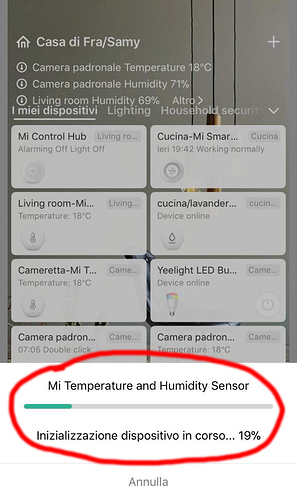 My Mi Control Hub firmware is 1.4.1_164.0158. I associated with my gateway: three temperature senses, two flooding sensors, a smoke detection sensor and some yeelight lamps. I live in Italy and to make it all work I set “Mainland China” as a server. I configured everything and everything works perfectly. But I have a big problem. 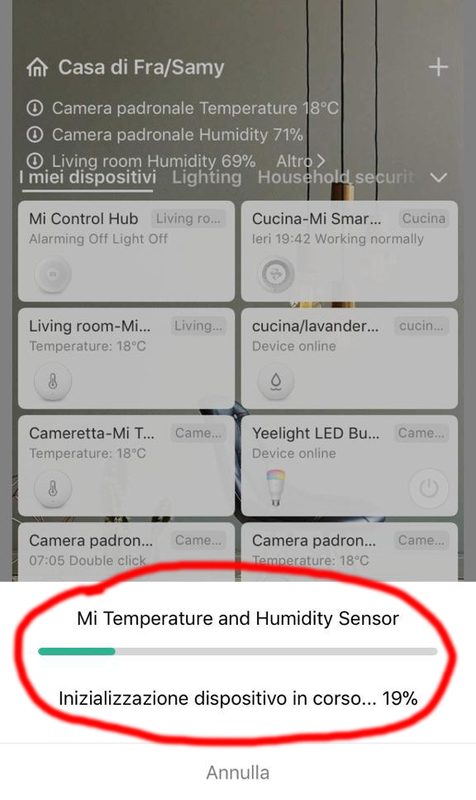 Every time I open and close the Mi Home app (on iOS) it asks me to initialize any sensor Can you please help me solve this problem? I am also attaching an image of the problem. Thank You!! !